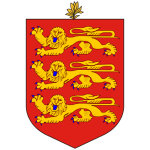 Guernsey is a self-governing British Crown dependency held by the monarch of the United Kingdom though it is not part of the UK. Together with the Bailiwick of Jersey it forms part of the Channel Islands. To attract foreign investment, expertise and talent to Guernsey, the government organisation Locate Guernsey offers immigration routes for wealthy individuals and entrepreneurs. They encourage affluent individuals to relocate to the island and/or do business there, offering them tax and other benefits in exchange for their contribution in the local economy. Guernsey has a lot to offer to foreign investors and businessmen in exchange for their contribution in local economy. For individuals with high worldwide income, Guernsey offers special high-income tax regimes. Investor and entrepreneur visas are initially granted for 2 years subject to extension for another 3 years, provided the applicant complies with all the requirements. No minimum amount of tax contribution is required. Purchase or rent of an accommodation in the Open Market in order to live there. English language test for entrepreneurs. Investors and entrepreneurs may apply for an Indefinite leave to remain to settle in Guernsey after 5 years of continuous and lawful residence there either in the investor’s capacity or running their business and complying with all the requirements. Applicants from 18 to 65 must pass the Citizenship Test to demonstrate they have sufficient knowledge of English and life in the UK and Guernsey. Children under 18 can be included in the permanent residence application. To apply for citizenship in Guernsey, you must spend there at least one year as a permanent resident. So you must have spent at least 6 years in Guernsey after your first entry as an investor or entrepreneur before you apply for Guernsey (British) passport. Guernsey permits dual citizenship, so you don’t have to renounce your current nationality. Non-EU passport holders who wish to relocate to Guernsey and/or run their business there have two immigration routes. Another opportunity approved by the States of Guernsey. Intention to settle in Guernsey. Self-sufficiency without recourse to public funds. Applicants must invest £200,000 in a new or existing Guernsey company under the entrepreneur visa route. The funds must be in the applicant’s name and ready to be invested. The applicant must manage the company themselves and be involved full-time. The applicant must have a controlling or equal interest in the business. Evidence that the business will create jobs and be economically beneficial for the state. New businesses must be registered with the Income Tax Office. Population Management Law regulates the size and make-up of Guernsey’s population to make sure that the island has the right mix of people supporting local economy and community. It determines who can work and live on the island. Guernsey’s two-tier housing system is divided into a Local Market and an Open Market. LOCAL MARKET properties are available only for qualified residents that have an existing, automatic right to live on the island. Subject to having an employment permit, employees, self-employed or employers, who are coming to Guernsey to work, are also entitled to live in Local market properties. However, there are controls on how long an occupier can live in a local market property. There will sometimes be other controls on the type of housing that a person can live in and the job they must do and the employer they must work for. OPEN MARKET is available for newcomers, both from and outside the EU, that wish to establish their residency in Guernsey. It is a straightforward and rapid process. There are no limits on the length of time that families in an Open Market property can live in Guernsey. However, Open market properties are a lot more expensive than the local market ones. Guernsey has their own financial, legal and judicial systems, their own parliament and their own government. However, the UK is constitutionally responsible for the defence and most foreign relations of Guernsey. Government: representative parliamentary democracy under a constitutional monarchy. Membership: British-Irish Council, Commonwealth Parliamentary Association. Location: English Channel in between France and England. Climate: temperate oceanic with mild winters and warm, sunny summers. The main sectors of the island’s economy are financial services, tourism, manufacturing and horticulture, though the latter ones are in decline. Financial services sector is the biggest GDP contributor and the largest employer. It comprises banking, fund management, insurance and other services. Main agricultural products are tomatoes and cut flowers.